What skincare products do I use to treat pimples, and what is my current skincare routine? Those are some questions I have received from viewers, so let’s get to it. Like most people, I’ve definitely struggled with my share of pimples and breakouts. My skin was probably the worst during my early to mid-20’s. During that time, I’d often develop dozens of small pimples on my forehead, as well as those large, painful zits on my jawline or chin. Thankfully, my skin has cleared up a lot (though I do still get the occasional pimple). Here’s what has worked best for me. Proactive Acne Treatment – (actually, it was the Equate brand from Walmart with similar ingredients as Proactive). This was probably the best product that I used on my face to keep it clear or treat pimples. However, I didn’t like to use it too much. Seabreeze – I would sometimes use this astringent in my facial cleaning routine, but it had the tendency to dry out my face, which could lead to skin damage or acne. Clearasil – This is another product I would use to help clear skin or treat zits that had formed. Again, I think the Equate Acne Treatment (aka generic alternative to Proactive) actually worked best of the three products above, but it has been a few years since I’ve used any of those products. One product that I do use right now (and highly recommend) is a makeup removing wipe. The brand I use is Equate Original Clean Wet Cleansing Towelettes. I use this at the end of the day to remove all of my makeup, and it does a great job of cleaning my face without irritating it (as other brands have done). As far as washing my face, I typically use a basic bar soap. The two brands I like are Dove Sensitive Skin and Zest Creamy Cocoa Butter and Shea. However, I try not to wash my face too often (typically just once per day in the shower). Immediately after washing my face (or taking a shower), I always moisturize it. I think this is very important to keeping your skin healthy. My favorite lotion is Eucerin Calming Creme. This does not break out my skin, and it is very good lotion (and many dermatologists recommend it for sensitive skin). Another factor that has definitely contributed to my improved skin quality is aging. I don’t know if it’s just a part of getting older, or what, but my skin has cleared up a lot now that I’m a little older. In addition, I also think that giving birth to my son also caused a lot of positive changes in my body and stabilized my hormone levels (thanks, son!). Believe it or not, my diet is actually the biggest factor for my skincare routine. A few years ago, my husband would develop itchy hives daily. To make a long story short, he went on an elimination diet, and cut out all major food allergens (among other things). The result was a remission of his hives. Since I had also been experiencing weird symptoms – such as stomach upset, heartburn, rashes on my fingers, eczema on my eyelids – I decided to cut out some of the major food allergens, too. After a month or two, I noticed that my weird symptoms went away. In addition, my skin also cleared up dramatically. My diet mostly consists of chicken, turkey, steak (occasionally), fruits, vegetables, white rice, and the occasional cheat meal or snack. I have pretty much cut out all dairy, nuts, wheat, fish, and so forth. This has been the biggest game-changer in my skin quality. This point really ties in with point 3 (diet), but taking a daily probiotic has also been very helpful in clearing my skin. 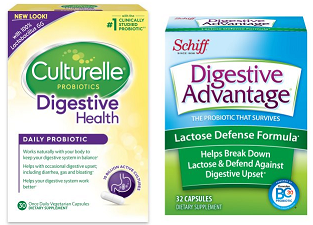 There have been some studies that show that taking probiotics can actually reduce the immune response to food allergies or intolerances. I always try to take time to exercise regularly, and I aim for around 30 minutes of cardio for 3-4 days per week. I’m not always perfect with that, because life happens. However, exercising regularly helps to regulate so many things in the body, and it also keeps stress levels down – all of which I believe contributes to less pimple problems. I try to avoid any and all types of toxic substances. Since I don’t get a lot of dairy or calcium in my diet, I do take a multivitamin. However, I try to maintain a healthy lifestyle overall, and I avoid smoking, drinking alcohol, or taking any kind of recreational drug. I feel that it not only improves my overall health, but it also goes a long way to keeping my skin as clear and healthy as possible. Okay, so that’s what I do for my skincare routine. Again, diet and probiotics are probably the biggest factor, but I feel that all of those things have worked together to help my skin become much better in recent years. I hope these tips help some of you! 1. Kober, M., & Bowe, W. (2015). The effects of probiotics on immune regulation, acne, and photoaging. International Journal Of Women’s Dermatology, 1(2), 89.